Intel has finally lifted the lid on the new 9th Gen Coffee Lake refresh CPUs, starting with “the best gaming processor in the world,” the Core i9 9900K. Intel is also set to release the Core i7 9700K, and Core i5 9600K 9th Gen CPUs too. These three new chips mark a return to core-parity between Intel and its AMD rivals, giving the Core architecture a pair of eight-core CPUs to stand against the best of the Ryzen processors. 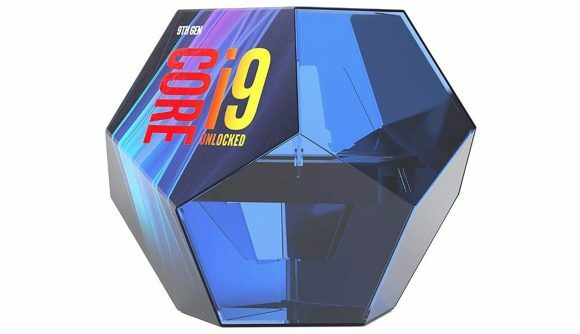 The new CPUs are set to launch on October 19 with prices expected to be around $500 for the top-of-the-line eight-core, sixteen-thread Core i9 9900K monster. Though the fact the Intel i9 is potentially going to be priced so much higher than the nominally equivalent, eight-core, sixteen-thread AMD Ryzen 7 2700K, could make it a difficult sell for the average gamer. Intel CPUs have historically offered a gaming frame rate advantage over their AMD rivals, but with the power of modern GPUs – especially graphics cards you’d pair with a $488 processor – the gaming performance difference between processors could be very slight indeed. The Core i9 9900K comes with a hefty Turbo clock of 5GHz, the first “broad volume” chip at that speed. That’s admittedly only the peak single-core Turbo rated by Intel, but if the likes of Asus pull their usual all-core boosting shenangans we could see an all-core 5GHz out of the box with top-end Z390 boards. Won’t that be nice? That could go a long way to giving the Ryzen chips a kicking in gaming tests. Intel has also confirmed it’s rocking soldered TIM on all its new chips, including the new X-series CPUs coming in November, to help you to get the best overclocking performance out of these unlocked processors. Intel has tested the top i9 9900K CPU against the competition, including its own 8th Gen and AMD’s Ryzen chips, and claims its gaming performance makes it the world’s best gaming processor. Some of the performance Intel claimed has since been refuted by further independent benchmarking, however. But the Core i7 9700K is set to be an interesting one too. That’s the first desktop i7 CPU we can think of that comes without HyperThreading enabled, and that means it’s a resolutely eight-core design. 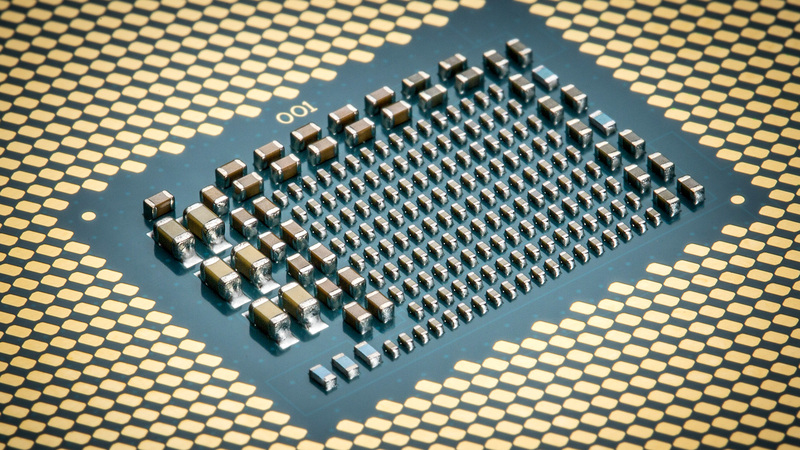 But given early benchmark leaks it could still use its full eight threads of processing to beat the 12 threads of the six-core 8700K in multi-threaded tasks. It’s coming with a 4.9GHz Turbo, but don’t be surprised to see 9700K chips hitting 5GHz without much trouble either. The Core i5 9600K also comes without HyperThreading, as has always been the way with the i5 range. But it’s also the least interesting release given that it is essentially just a Core i5 8600K with a new badge and a slightly higher out-of-the-box 4.5GHz Turbo. The pricing of these new CPUs could be a struggle for Intel. It hasn’t been able to drop the pricing of its Core i7 range, and so has dropped the Core i9 chip on top, making the pricing delta between core-equivalent AMD and Intel chips massive. 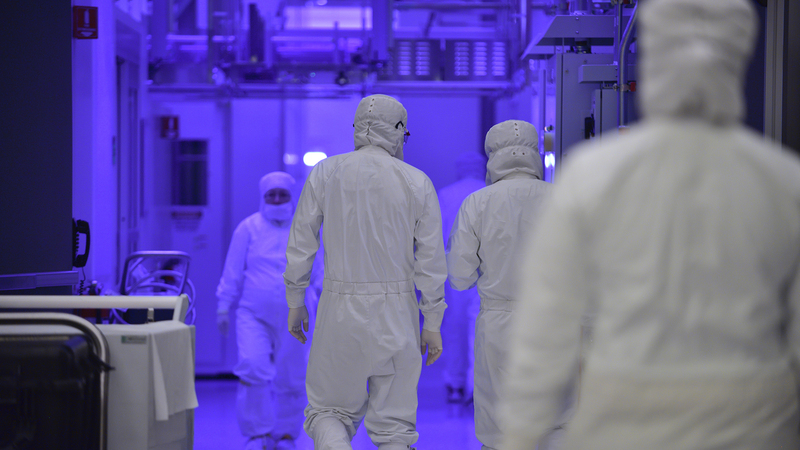 There’s also the issue that Intel has been having with 14nm production recently. Yes, these new chips are still using the same 14nm Coffee Lake architecture, itself a modest extension of the Skylake design, except with a few extra cores and some slightly bumped clock speeds. The optimist in me wants to believe production has been tight because Intel has just been so gosh darn determined to get enough of the new 9th Gen Coffee Lake refresh silicon out into the market to satisfy demand. The realist in me understands that’s probably unlikely – especially given that all Intel’s current motherboards, including the new Z390 boards, are also demanding 14nm production capacity. It’s potentially more likely that we’ll see a similar supply issue which accompanied the launch of the original Coffee Lake CPUs last year, with tight supply and high pricing at the beginning with that easing out into the new year. But the 9th Gen range will offer the best gaming processor in the world, and that gives Intel a definitive halo CPU product, even if it’s a mighty expensive option.